Houston is named "Stray Dog City 2015"
We all know about Houston's enormous stray dog problem. A project to count Houston's high number of homeless animals is planned for this month. 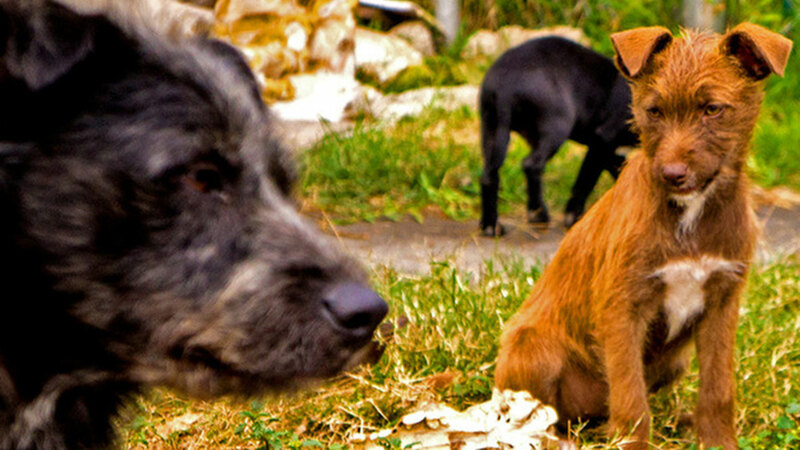 Operation Houston: #StrayDogCity is an effort by the World Animal Awareness Society (WA2S) to train and utilize volunteers to go into the field and count the animals. Much of the project's focus will be on Houston neighborhoods hard hit by animal overpopulation. Many estimate there are over one million dogs and cats on Houston streets. You may have heard that WA2S was instrumental in bringing national attention to Detroit's animal overpopulation in 2013 and 2014. Organizers hope to have the same results here in Houston. The project will utilize state of the art camera drones and GPS technology to assist in quantifying the number of stray dogs on the streets of Houston. But they also need people on the ground to help. The American Strays Project Team is looking for up to 60 volunteers to survey for dogs in Houston on March 27, 28, 29. For more information on how you can take part in this project (including training dates), click here. 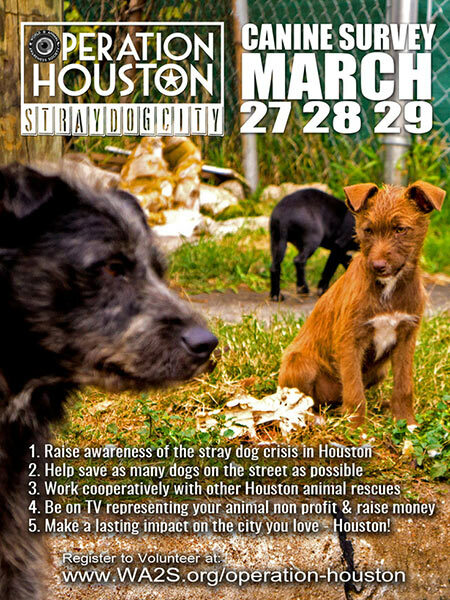 In addition the survey, WA2S Films is looking to cast their new TV show: "Operation Houston #StrayDogCity". They will be filming the pilot episode here in Houston later this month. Details on how to try out for the film are also included on the registration page.